When Apple announced its new iCloud service, we heard rumors that Apple would be launching new models of their Time Capsule and AirPort Extreme, and now the guys over at 9 to 5 Mac have discovered references to new models of each device. 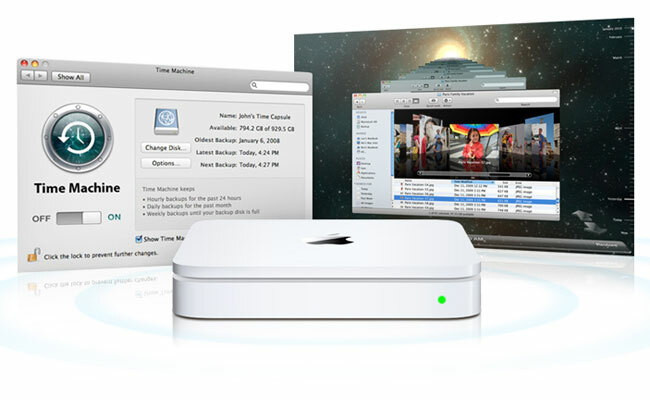 It appears that a new AirPort Extreme with is referred to as the 5th Generation AirPort Extreme Base Station with 802.11N and a new Time Capsule which is referred to as the 4th Generation Time Capsule with 802.11N has been discovered. According to the report Apple has been internally testing both devices which will have the ability to cache software updates for iOS devices and also for Mac OS X devices. There are no details as yet on when the new Time Capsule and AirPort Extreme will be unveiled, as soon as we get some more information we will let you guys know.